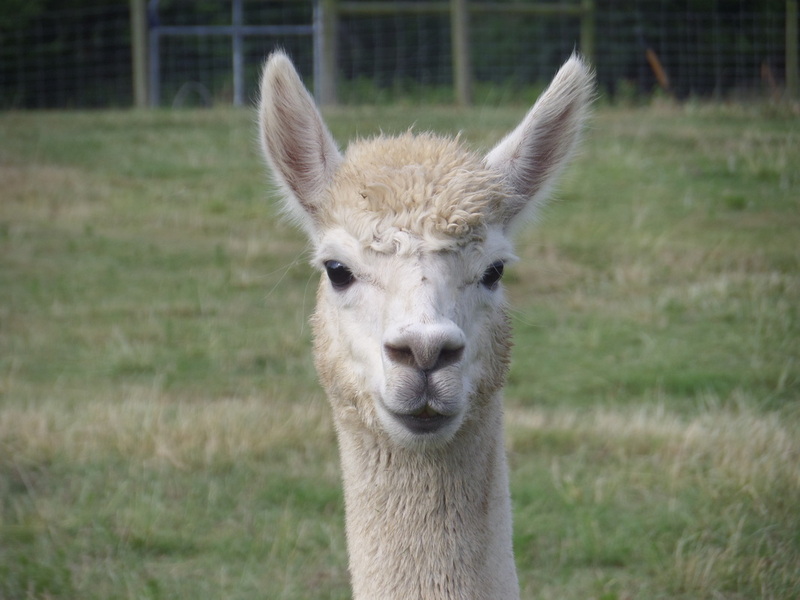 Woodstock is a very active and stunning young male. He produces lengthy and soft fiber which makes his yarn perfect for any weight of yarn! Woodstock is a Light and Medium Fawn color which makes his yarn perfect at any weight! Denver is a large Beige and he is truly worthy of the Empty Pockets name! He is always a joy to watch in the pastures with all the other Junior Herdsires. Denver produces excellent soft fiber each year that makes beautiful yarn for dying! 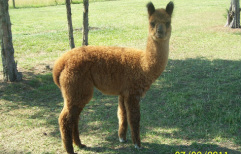 Little Bit is a great medium brown, he has excellent confirmation and produces wonderful yarn! He has a good staple length and a temperament to match! Little Bit can always be found under a tree and just chilling! 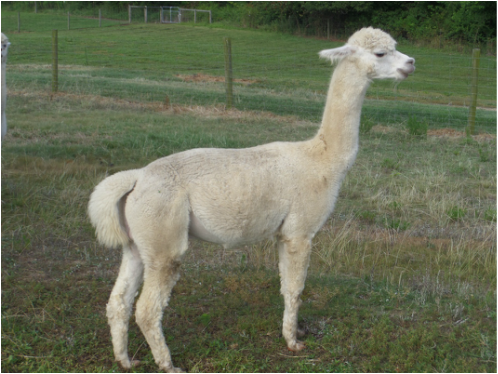 This cria is named Pepper for two reasons the first being his wonderful color and the second after our daughter's first eventing pony "Dr. Pepper". Dr. Pepper was with our family for 19 years and lived to the great age of 32, he passed away on the farm in 2011.
Pepper is a great size and weight and he produces excellent and abundant fiber! 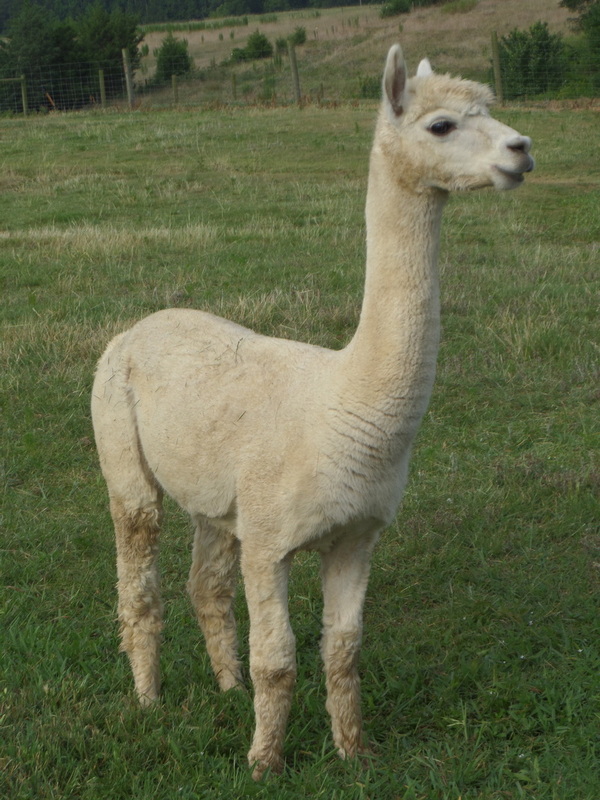 He is a docile male that is perfect with younger males and would make a great addition to any farm! Special is a wonderful rose grey and has lineage to show for it. Throughout his genes he has an array of silver grays and black! He is the eldest of 3 with his same mother and father. They are all wonderful grays! Special has fantastic conformation and fiber length! Kiav is a crisp white boy and he produces excellent fiber! His lineage is excellent with names to include Snowmass Peruvian Avalanche, Peruvian Gold Rush, PPPeruvian Infinity and Peruvian Hemingway! His yarn is a perfect snow white great for any project or dying! Jeffery is a Dark Rose Gray, Light Silver Gray, and Light Brown. 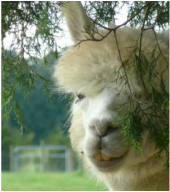 He produces great fleece and yarn. His yarn is always a light silver-white color which makes it perfect for any outfit! Richmond is the youngest out of the Jacob's Journey and Dannielle Day combination. Richmond is a Medium Silver Gray and White. Richmond produces a great silver yarn that is perfect for any occasion! Richmond has a picture perfect face and conformation! DD and JJ certainly saved the best for last but the competition is tight! Sacramento is a Light Brown and White boy. He has great color and a white wishbone across his nose! Sacramento has a great staple length and luxurious fiber. He has great color and a personality to match. Gordon has a multi colored blanket with dark silver gray and white being his primary colors. Gordon has splotches of many different colors along his blanket, depending on they his yarn color could change shades! Gordon produces excellent soft fiber perfect for any outfit or garment! Chicago is a wonderful true black and produces excellent even fleece lengths! He has great lineage with names like 4Peruvian Meteor, Peruvian Fuego, PVA The Prince of Ghirardelli, and Saundra of Bolivia B8062 IMPK98. Chicago has Suri lineage but is a Huacaya that makes his yarn exceptional.